A unique and naturally-tanned skin is what Filipinos are known for. But sometimes, the tan color overpowers; wrinkles and lines start to show up and Filipinos tend to overthink on what to do with it. How can we achieve an ageless and improved skin? 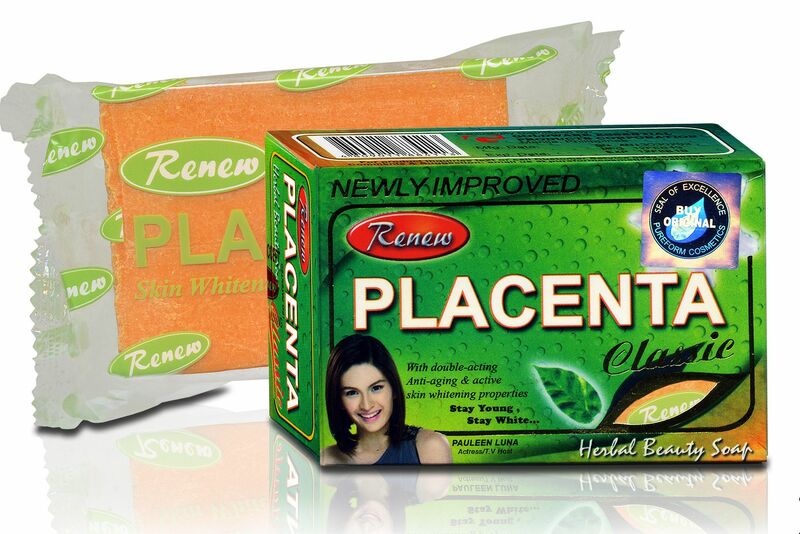 Renew Placenta, a 100% pure Filipino product, has the answer a decade and six years ago. Placenta is a temporary organ known for its skin rejuvinating effect was introduced for beauty consumption back in 1998. 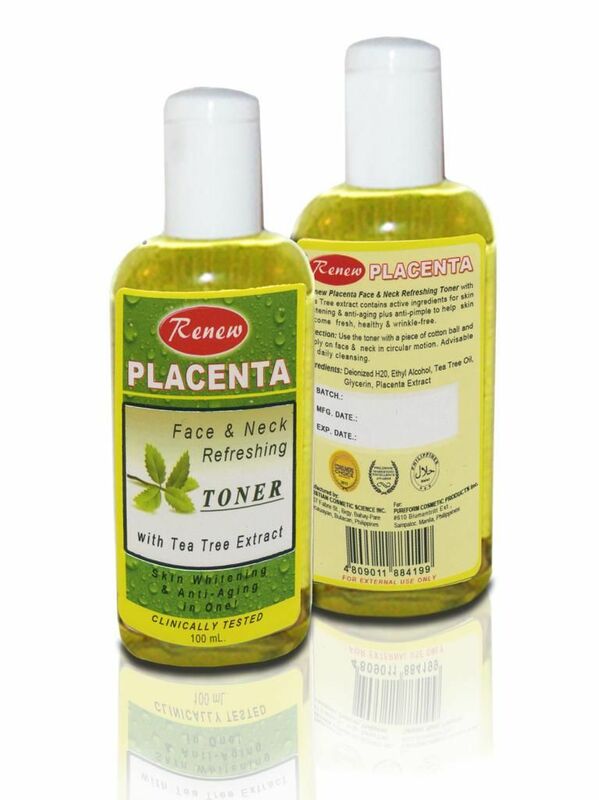 Renew Placenta became the pioneer of Placenta beauty products in the Philippine market. Since then, Filipinos enjoyed an additional option in stores other than the conventional body soaps and beauty products. Placenta has been known for its numerous health benefits. The discoveries from this natural wonder became a trend that scientists found a way to include it in soaps. Placenta today is known as an anti-aging product because it lessens wrinkles and lines, scars, and stretch marks. It also prevents the appearance of blemishes and at the same time, gives long-lasting moisture from Protein. It also very effective for skin whitening and skin regeneration which then results to a newer and lighter skin. All of these are proudly present in Renew Placenta. Start the routing by using Renew Placenta Classic Soap. This has natural placenta extracts that cleans, refreshes and whitens the skin. It also increases moisture and suppleness, leaving the skin young, smooth and white. Next step is to apply toner on your face. This is a gentle, intensive toner with biologically active herbal ingredients. It cleanses, refreshes and tones while minimizes skin pores making it whiter and younger. After washing and using toner on the face, use a face cream to even out the skin complexion. 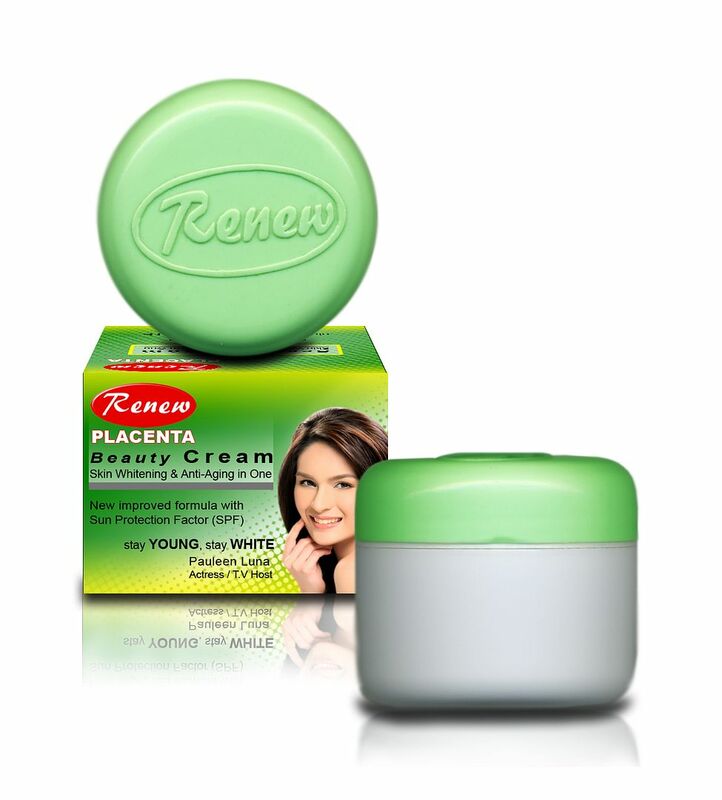 This Renew cream contains natural active ingredients that help in the prevention of wrinkles and delays the process involved in skin ageing. A well-balanced, moisturizing cream with UV (ultra0violet) filters and natural active ingredients that delay premature skin ageing. It is also ideal as a make-up base that has protection against UV rays. To complete the routine, use a hand and body lotion that would help moisturize the skin and increase it's suppleness with active whitening ingredients. This will leave skin feeling silky smooth and white. Do this for a couple of weeks and you will say hello to a white and young-looking you! This is also perfect if you want to flaunt your smooth skin this summer in those pretty dresses and bikinis! If you want to know more about Renew Placenta products, simply Visit their website HERE or Like their Facebook account HERE.